The story of Starbucks is a story of an amazing success of a coffee chain brand that had a very important impact on the coffee culture and café experience of Americans. The company managed to create a strong brand, which many companies tried to imitate. From its initial foundation in 1972 the expansion from a small café into a globally recognized brand happened very fast. It is suggested by many that the basis of such a success was the concept of the brand which aimed to influence all of the consumers’ senses starting with the coffee itself and enhancing the experience through décor, music and café atmosphere (Bedbury and Fenichell, 2003). Thompson et al. (2006) have mentioned that at the core of Starbucks branding strategy are placed the principles of emotional branding strategy, which relies heavily on a cultural context. The initial success of the brand was ensured by communicating the right story or myth to the right customer. The segment targeted by Starbucks was Bobos – bohemians and bourgeois. The brand addressed the values of these groups by combining appreciation of a successful career with bohemian values, anticonformism and creativity (Bedbury and Fenichell, 2003). However, in the recent decade the company faced a brand crisis that was facilitated by the fact that the story told to the consumers was no longer authentic. This problem of authenticity emerged as the brand stopped being perceived as an authentic coffee experience provider when the company grew in size. The clever acquisition strategy, which ensured Starbucks’ rapid growth and success, according to Thompson and Arsel (2004) was what undermined the authenticity of the brand. The growing size of the company changed the perception of Starbucks from an authentic home-like café to a corporate giant. At the same time the company insisted on sticking to its core values. This rigid approach to branding while considerably changing the essence of the company created brand identity crises in the minds of consumers. 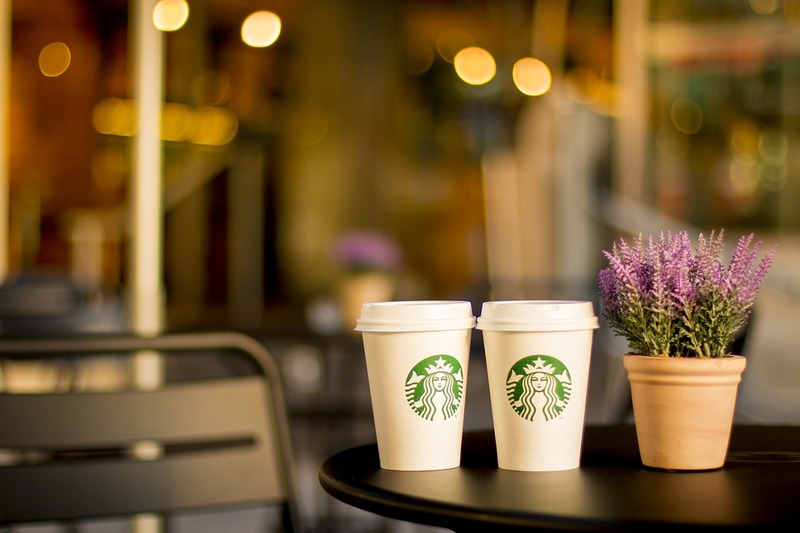 Therefore, it can be concluded that the Starbucks branding strategy, despite once being innovative and very successful needs to be readdressed and updated considering the changes in internal and external environments. Bedbury, S. (2003). A new brand world: 8 principles for achieving brand leadership in the 21st century. Penguin. Patterson, P. G., Scott, J., & Uncles, M. D. (2010). How the local competition defeated a global brand: The case of Starbucks. Australasian Marketing Journal (AMJ), 18(1), 41-47. Thompson, C. & Arsel, Z. (2004). The Starbucks Brandscape and Consumers’ (Anticorporate) Experiences of Glocalization. Journal of Consumer Research, 31(3), pp. 631-642. Thompson, C., Rindfleisch, A. & Arsel, Z. (2006). Emotional Branding and the Strategic Value of the Doppelgänger Brand Image. Journal of Marketing, 70(1), pp. 50-64. It is hard to imagine how many cups of coffee students drank during their sleepless nights. Do you want to sleep soundly today, but you can’t because you need to complete a lot of tasks? We can help you with this problem. This essay sample was completed by a professional writer from BuyEssay.org. It was completed in accordance with our requirements. If you would like to get a cheap essay of the same quality, just contact us! We will definitely provide you with timely help. You should not use our essay sample as your own work because of the risk of failure from plagiarism. Instead, fill the order form with your own requirements and receive your own original papers. If you would like to save money, contact us immediately!